Goudhurst is a village in Kent on the Weald, about 12 miles south of Maidstone. It stands on a crossroads (A262 & B2079), where there is a large village pond. Goudhurst is one of the most beautiful villages in Kent and the slow drive through the village gives you a sense of tradition. A few shops, a pub and a tea room all within eye distance of the village pond makes a visit a must for the visitor. 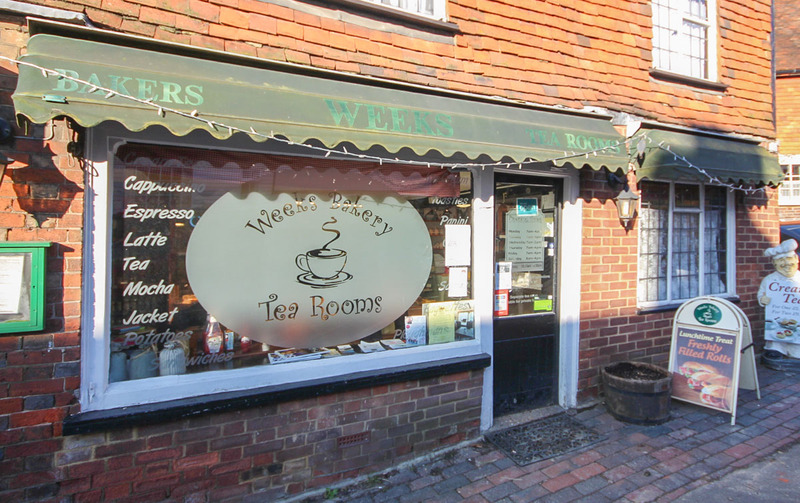 This little English Tea Room has come a long way over the years. I had one bad experience at this time tea on my first visit many years ago. Without going over old ground, I have been back several times since and always enjoy the food and service. The tea room is inside a Bakery, so the food is always fresh and tasty. I can recommend this tea room. Parking is OK and the village is typical of an English village. Just a lovely place to be.